Diamond wedding band pendant. One of a kind band pendant. Original matching band by Eidelprecious. Unique diamond wedding band. 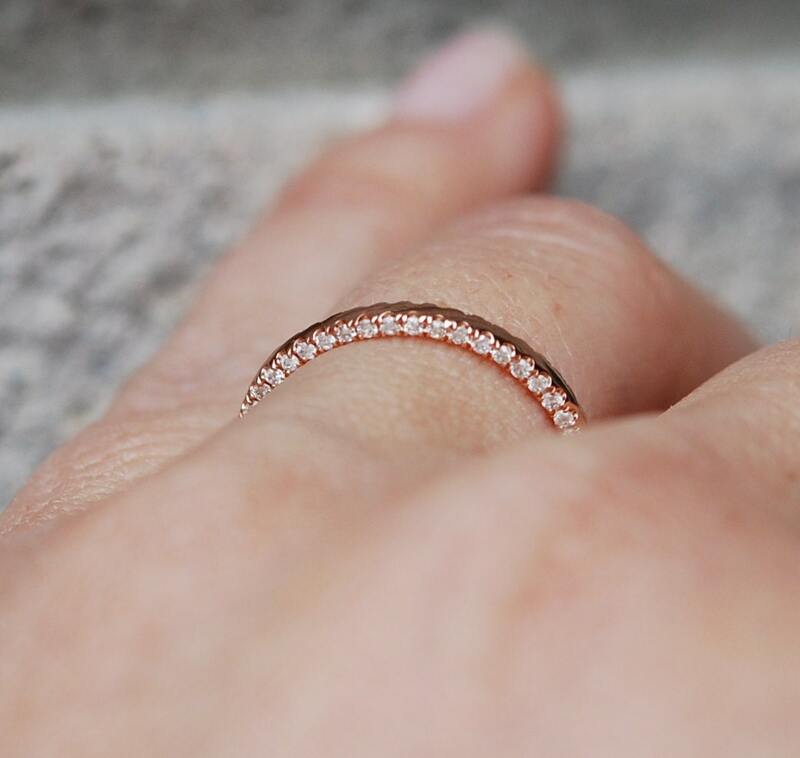 Rose Gold Wedding Band Ring Full Eternity Diamond 14k Skinny & Stackable Double Eternity. 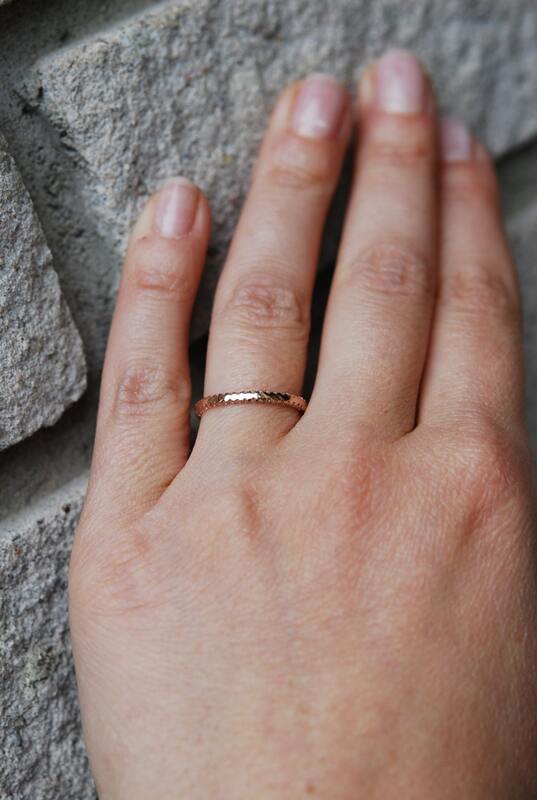 Take your wedding band to the next level and add dimension to your engagement ring. Extensive research showed this is the first design of that kind. Proudly made by Eidelprecious :) This is even more than just a band! It can be worn as a diamond pendant on a necklace (see last photo). The front of the band is plain 14k rose gold. Filigree rims. Diamonds are set in micropave setting on the top and bottom of the band making it double eternity (Her and His side). It is very delicate and feminine, will match almost any engagement ring. The band will look awesome with any Eidelprecious engagement rings (as shown on last 2 photos). Engagement ring is not included in this listing. You can choose 14k or 18k, rose, yellow or white gold. Please allow approx. 3 weeks to complete your order. We got my engagement ring from Eidelprecious and of course we had to get a matching band. I love this band! I love how the diamonds are on the sides vs on the top for a more unique look. I have been eying it for a long time and love it so much. 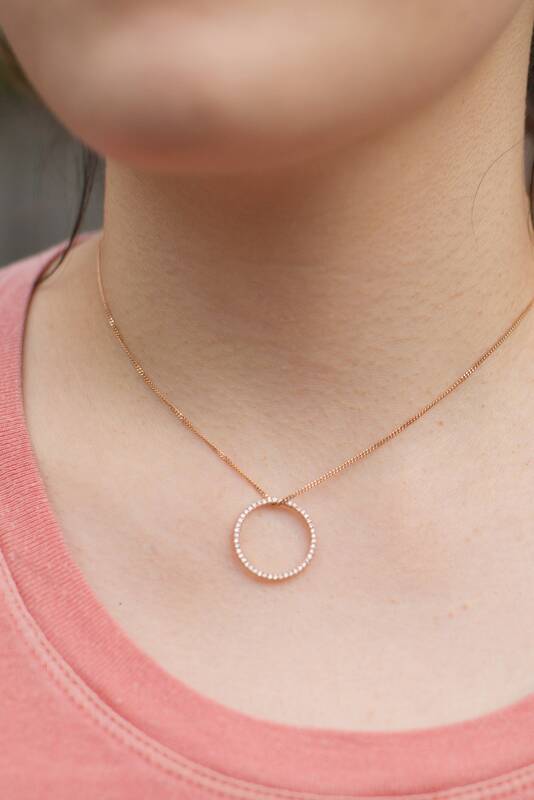 I can wear it alone and sometimes stack it with other rose gold rings for a more casual wear. Shipping was extremely fast and I just love her work. Would definitely purchase again for special occasion jewelry! Beautiful! The photo does not do this ring justice. 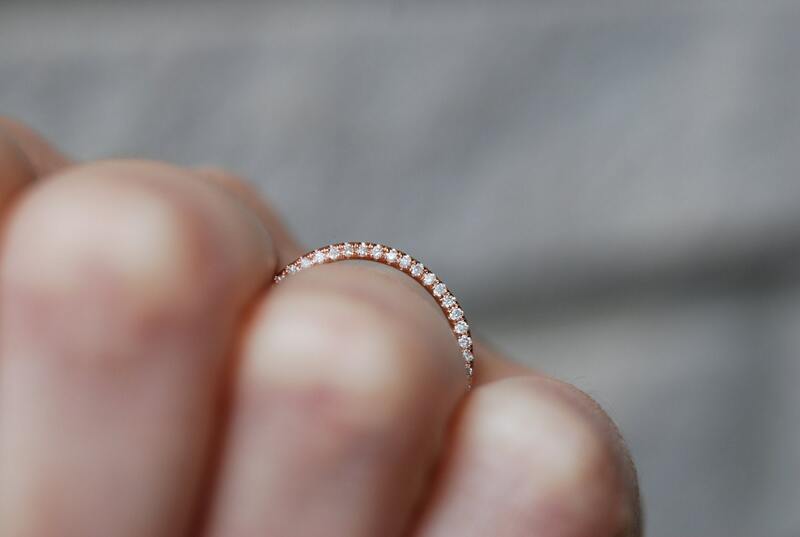 I purchased this band to match my sapphire engagement ring also from the seller, they are a show-stopping combination! 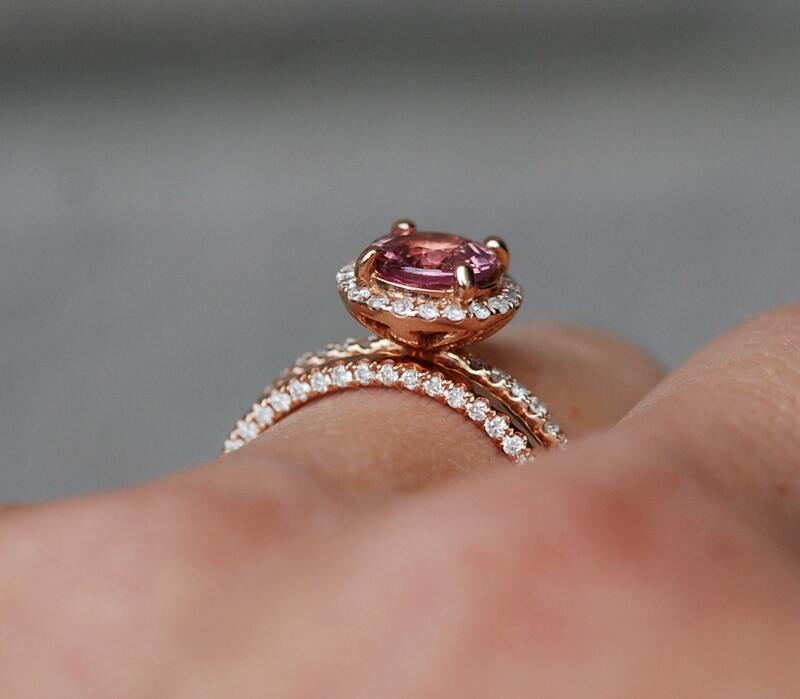 I also had the sapphire stone verified by my local jeweler - this is not imitation stonework. Worth every penny, would happily purchase more rings from here in the future. THANK YOU SO MUCH! 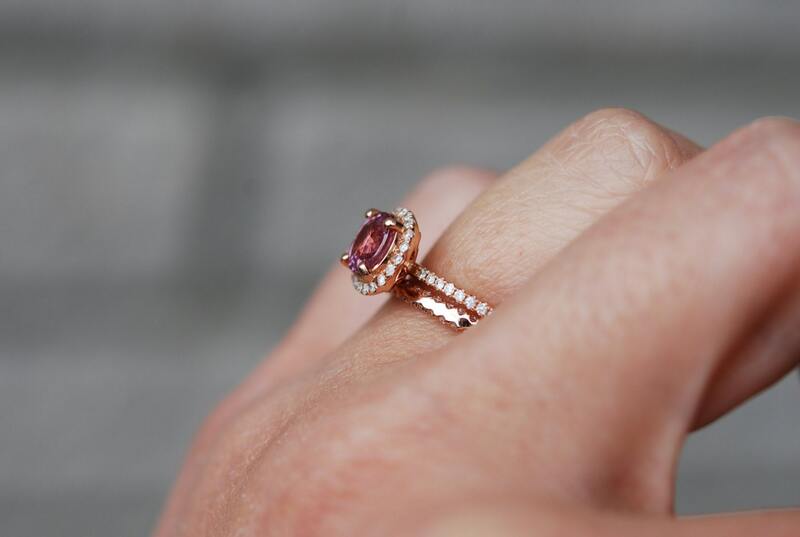 Stunning ring; definitely a new classic! Thank you Eidel! It's perfect and my wife loves it. It goes perfect with the engagement ring you made!